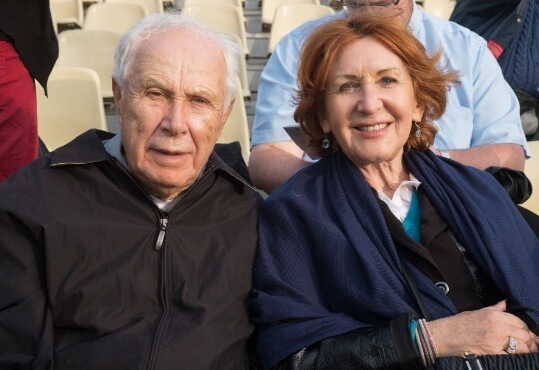 Executive Director of Beit Halochem Canada, the major donors’ mission began their visit taking part in the Memorial Day gathering at Tel Aviv’s Beit Halochem, honoring and remembering the fallen sons of Zahal Disabled Veterans. Joining the Canadian friends for part of their mission were Michael Balkin, President of ZDVO Beit Halochem Australia and his family as well as Evie Smith, Executive Director of ZDVO Beit Halochem Australia. They were invited to take part in the Independence Day celebrations on Mt. Herzl under the auspices of the Speaker of the Knesset, in the presence of Government Ministers, IDF Generals, the diplomatic corps. They visited Jerusalem’s Beit Halochem where they were able to witness firsthand the amazing rehabilitation work done for the benefit of Israel’s 51,000 wounded war veterans through some of their personal and compelling stories. They were briefed at Air Force bases and had moving encounters with members of Beit Halochem.